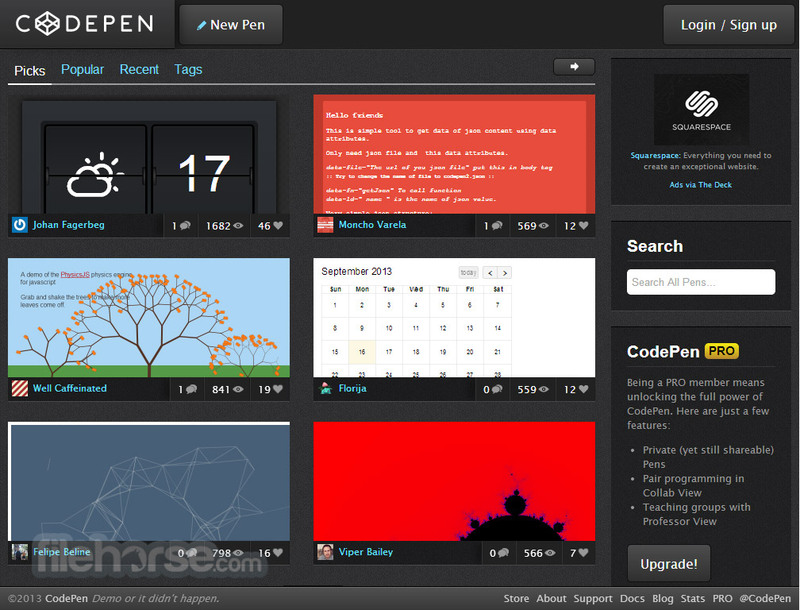 CodePen is an online playground designed to make coders happy. It features perfect place for professionals and novices to come together and start learning, innovating, interacting, and sharing their experiences with themselves and with the world. Featuring all the necessary tools for coding and testing, every coder can easily use Code Pen to build small test case for their app feature or a coding problem and instantly get impressions from the programmer community. With CodePen you can learn in collaboration, discover things you thought were never possible and share your discoveries with your peers. Code editor in Browser! 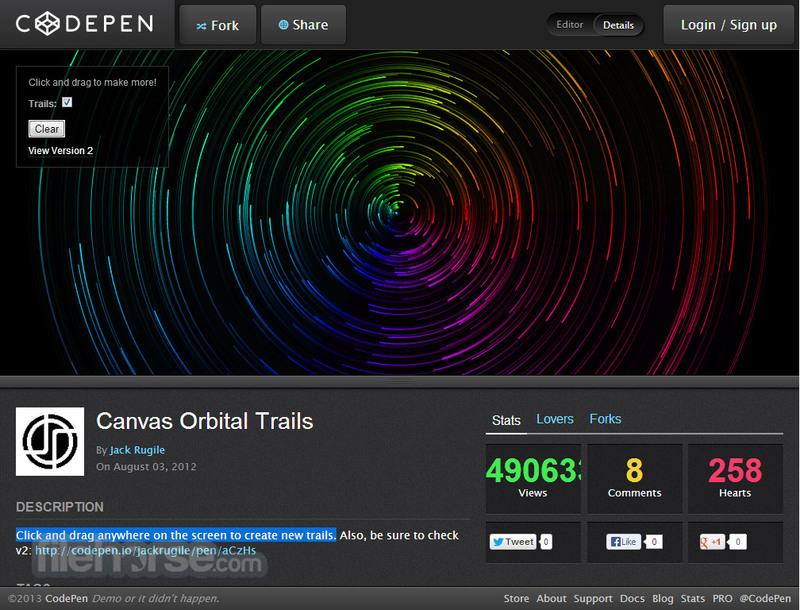 CodePen is a playground for the front end web. Show off your latest creation and get feedback. Build a test case for that pesky bug. Find example design patterns and inspiration for your projects. Need to build a reduced test case to demonstrate and figure out a bug? 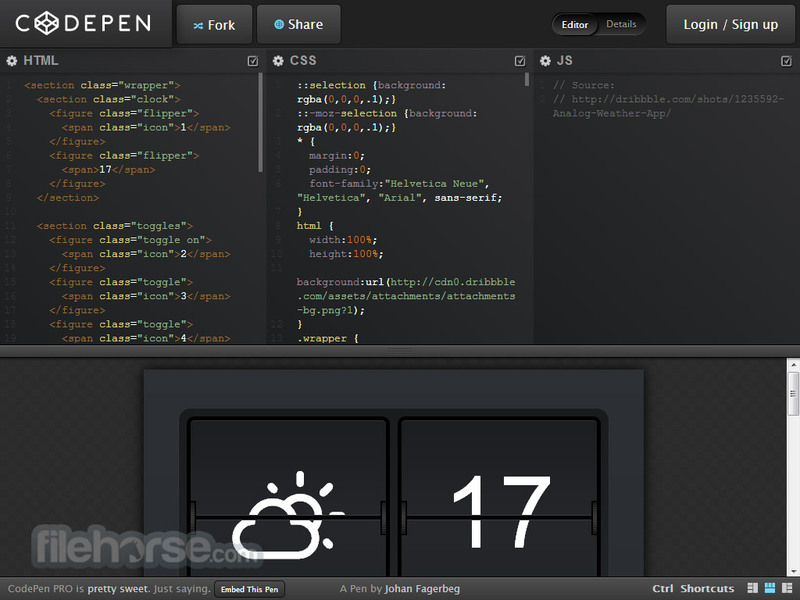 CodePen is great for that. Want to show off your latest creation and get feedback from your peers? CodePen is great for that. Want to find examples of a particular design pattern for your project? 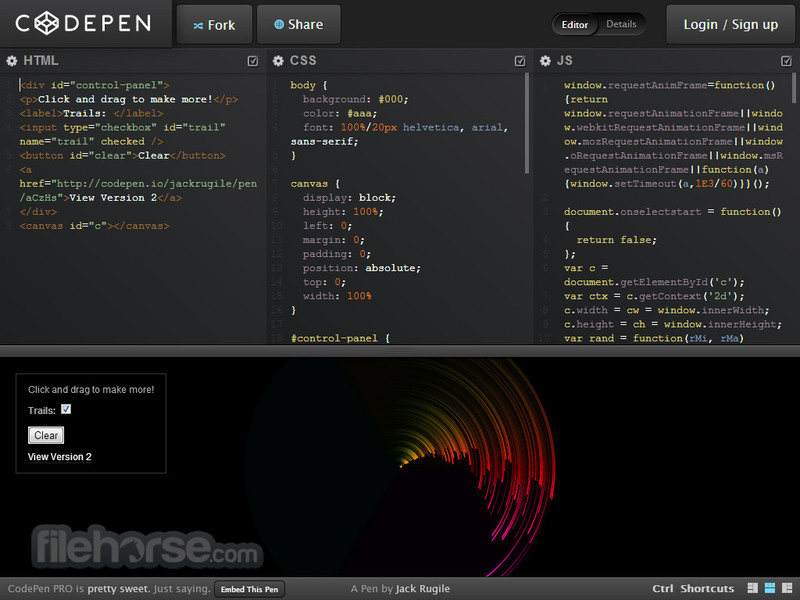 CodePen is great Code editor in Browser!. CodePen PRO takes things further with features like Collab Mode which allows you to pair program in real time and Professor Mode for allowing a group of students to follow you as you teach code and chat with each other.